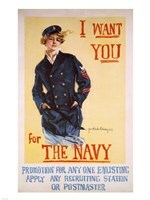 The slogan is as famous as the image, "I Want You". 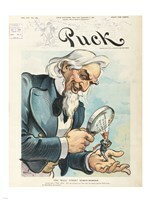 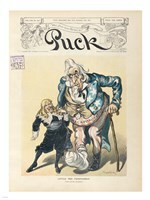 The image of Uncle Sam pointing his finger was originally created in 1916 for an issue of Leslie's Weekly by James Montgomery and has become (according to Montgomery) "the most famous poster in the world" with over four million copies printed between 1917 and 1918. 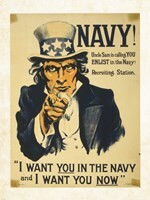 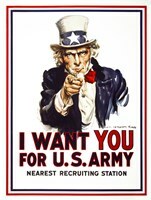 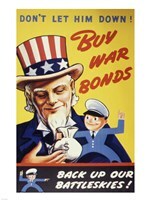 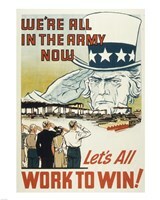 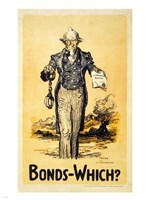 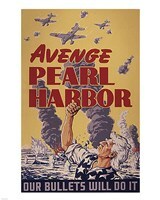 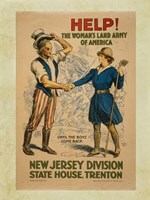 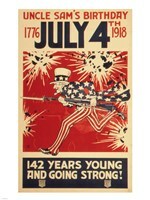 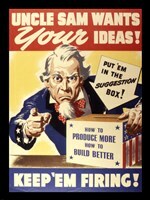 This image and slogan were used during WWI as a recruiting poster. 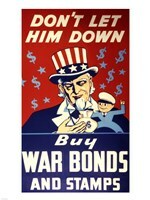 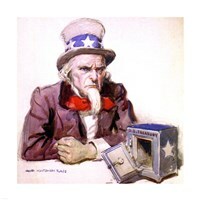 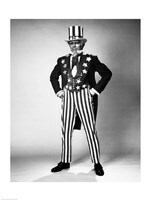 Although the image has been some what updatedover the years, the images seen here are the "classic" Uncle Sam.